This is a collection of various photos, audio & video segments with Autumn Peltier.., who is one of the younger of the World Youth Leaders… and at 13 years of age, has already made numerous speeches about the state of the World’s Water. “It’s time to “warrior up,”stop polluting the planet and give water the same rights and protections as human beings.“ That’s the message Autumn Peltier, a 13-year-old Canadian, delivered personally to the United Nations General Assembly on Thursday. “Many people don’t think water is alive, or has a spirit,” the young Anishinaabe girl from Wikwemikong First Nation told the diplomats gathered in New York City, in her speech on World Water Day. joining UN Secretary General Antonio Guterres and other international dignitaries, for the launch the UN’s International Decade for Action on Water for Sustainable Development. I claim no ownership of any of the clips, video, music and words expressed in this video…and employ my borrowing of them with much respect and thanks. Credits are given at the end of the video. No personal monetization is being done with this video, by me…, nor am I receiving any other benefits from any of this video.. It is meant for all.., to heal, teach, discuss, inspire and inform…and share. Fair use policy applies for all material used in this video. 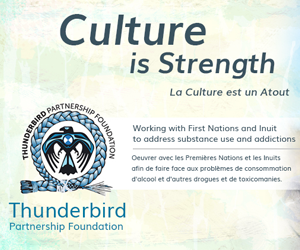 I thank with respect: Autumn Peltier (..and to all of her relations)..; All the Respected Elders in this video..; Assembly of First Nations..; CBC..; CBC.ca..; National Observer..; “I am Indigenous…; True Calling..; Children’s Climate Conference..; THE EAGLES..; Andrew Vasquez..; A Tribe Called Red..; Red Shadow Singers..; Crystal Shawanada..; AIM Unity Song… and all the other brothers and sisters who have contributed photos & video clips to this video, in any way.. Many Blessings! Hugs & Thanks! / Chi Miigwetch!